Designed by the famous vape celebrity Jay Bo, the Wismec Reuleaux RX200 is a truly fantastic, feature-rich box mod on the very edge of cutting-edge vaping technology. The winner of the lottery #173 for Wismec REULEAUX RX200 200W Tri-Cell TC Box Mod was João O. Caceres from São Caetano do Sul, Brazil on Mar 4, 2016. The Reuleaux RX200 by Wismec is a truly fantastic, feature-rich box mod on the very edge of cutting-edge vaping technology. Designed by the famous Jay Bo who attained the status of vape celebrity with the Tobh atomizer, the Reuleaux RX200 is a meticulously thought-out box mod guaranteed to give the very best performance possible. Customer Appreciation Days at VapeTrade - Just place an order with us till Monday and get 90ml free e-liquid, simple, great, awesome! After you place your order, please mail us with the three 30ml liquids you would like (name and nicotine level) and we will add them to your order completely free of charge. Please make sure you a) Choose liquids that show the red "Add to Cart" button, and b) Choose from the HEXOcell, Natura or Pharmacig lines. VISIT US AT WWW.VAPETRADE.COM, CLICK HERE. Viewing it from the technical side, the first thing to say is that the Reuleaux RX200 takes not one, not two, but three 18650 batteries. And that tells us this is one extraordinary electronic cigarette with noticeable advantages. 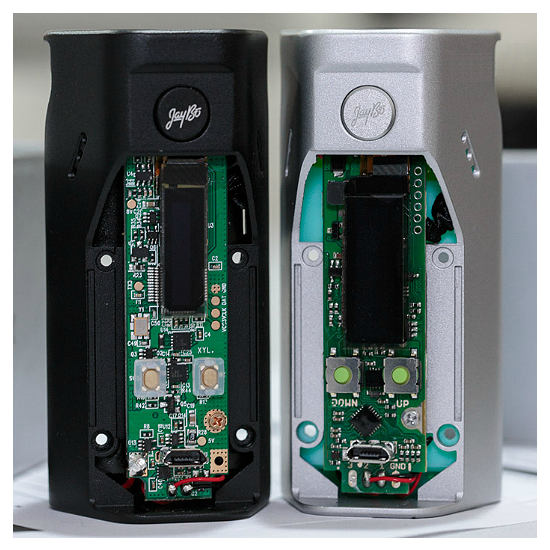 The triple battery format means the device can maintain 200 watts of output for a much longer time than dual 18650 mods. This makes the Reuleaux RX200 the pinnacle box mod at the time of writing (early 2016) - massive power that is constant, steady and stable for competition-grade vaping performance! The brains behind all this muscle is the razor sharp RX200 chipset that allows for firmware upgrades that always keeps it up to date. Considering the speed at which the vaping industry evolves, this is an extremely important feature. The temperature control suite on the Reuleaux RX200 is also very impressive. First of all, it is not simply a TC mod, it is a temperature sensing and limiting mod. 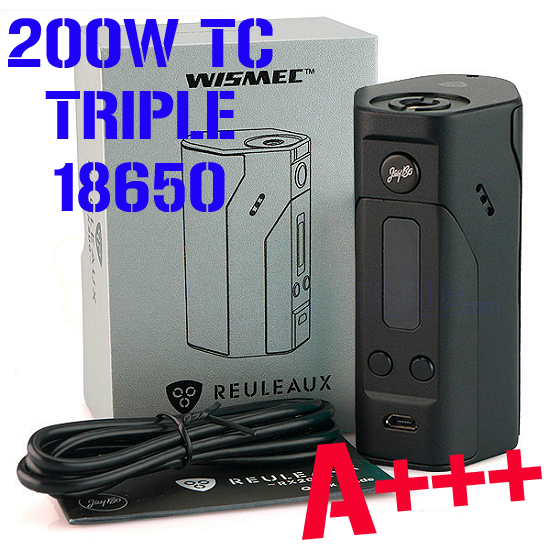 Most TC mods don't have limiting capabilities, but the Reuleaux RX200 does. You can effectively limit how hot your coils are allowed to get - very useful in terms of safety. From the classic TC angle, the Reuleaux RX200 can accommodate not only Ni200 nickel and titanium coils but also stainless steel coils - a feature also not found in most other TC box mods. Needless to say, it can also work in pure VW mode with Kanthal coils. In short, you can use the Reuleaux RX200 with virtually any atomizer, rebuildable or not. 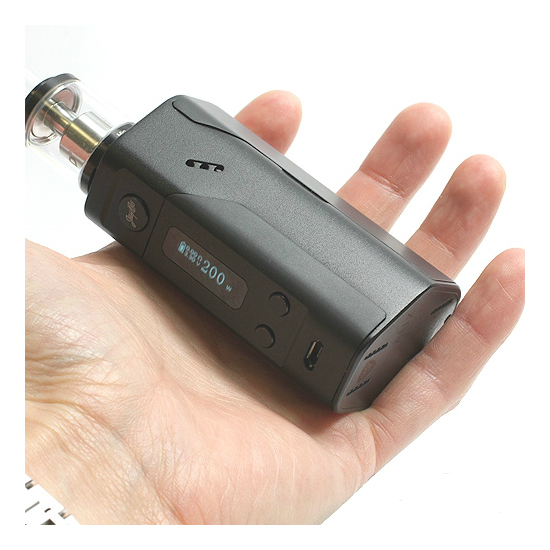 The Reuleaux RX200 is also very remarkable in terms of materials, features and general build quality. First of all, the Reuleaux RX200 is visually stunning. It has a totally unique hexagon form factor that not only looks like a million dollars, but also feels incredibly comfortable in your hand. The Reuleaux RX200 looks like an Italian muscle car that exudes power and performance - which it definitely has! Made with high-grade aluminum alloy, the build is solid and durable, yet lightweight. Wismec didn't stop there. The anti-slip finishing is done with scratch and smudge resistant matte paint that also protects against rust and corrosion. The front of houses the OLED screen, the fire and navigation buttons and the USB port in a convenient grouping that makes using and maintenance extremely easy. On the sides you have the much-needed cooling vents. Naturally, the pin is spring loaded to ensure connectivity with atomizers that have different pole lengths. The 510 connection is also noteworthy for having a circular pit that ensures steady airflow to the atomizer. Swapping batteries is also simple and straightforward with a magnetized battery door you can snap on and off with ease. As good as the Reuleaux RX200 is, it wouldn't have been complete if it was not safe to vape. Wismec packed the Reuleaux RX200 with safety features that include low voltage and resistance protection, short circuit protection, reverse battery protection and a 10 second cutoff timer. IMPORTANT: The 18650 batteries must be the same brand and model at all times. Discharge and recharge batteries within the same grouping of three. → To view matching atomizers for the Reuleaux RX200, please click here. 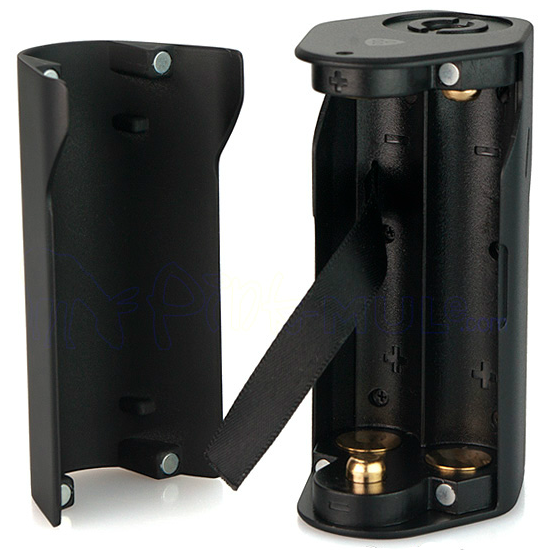 → You will also need three matching 18650 batteries with a minimum of 25A. Please click here for suitable batteries.